Chobani, an American dairy processor specializing in Greek yogurt has reportedly planned to launch a new range of plant-based yogurts and yogurt drink made from coconuts. 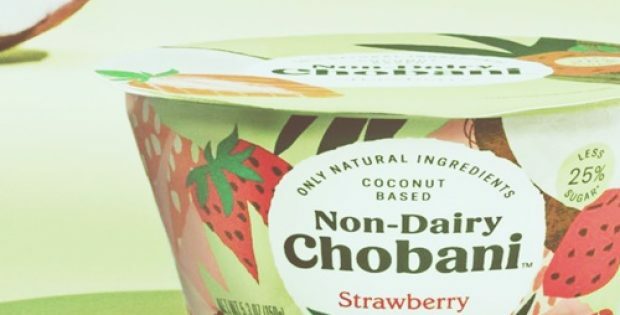 As per sources close to the development, the new range of products titled the Non-Dairy Chobani will be available in single-servings at grocery and retail stores across the nation. These products contain less sugar compared to non-dairy yogurts by rival brands and do not contain any artificial additives, the company stated. It further mentioned that each 5.3-ounce single-serve yogurt cup will be priced at $1.99 and every 7-ounce single-serve drink would be charged $2.49. The yogurt product will be available in an extensive range of flavors such as Blueberry, Strawberry, Peach, Vanilla, and Slightly Sweet Plain, while the drinks will be available in Strawberry, Mango, Vanilla Chai, and Slightly Sweet Plain flavors. Hamdi Ulukaya, Founder and Chief Executive Officer of Chobani, said that the firm believes if it can’t make something better, it might as well not make it at all. He further mentioned that Non-Dairy Chobani isn’t a replacement to dairy, rather a game-changer for the plant-based products. In a news report by Fast Company, Peter McGuinness, Chief Marketing Officer of Chobani had stated that after studying the plant-based dairy industry the firm realized that the available options are pretty limited. McGuinness further elaborated that plant-made yogurt only accounts for 2% of the overall yogurt sales for now, but the market is growing rapidly. Nielsen’s data revealed that plant-made yogurt sales had spiked by 54% in the previous 12 months. Moreover, consumers claim that they would have more non-dairy if it tasted better, McGuinness added. A team reportedly spent months making hundreds of iterations for the products at Chobani’s R&D lab leading to the company to evolve the new line of plant-based yogurts and beverages. Chobani was influenced to use coconut as its prime ingredient considering that it is an ingredient in the best-selling yogurt of the company, stated sources familiar with the development.